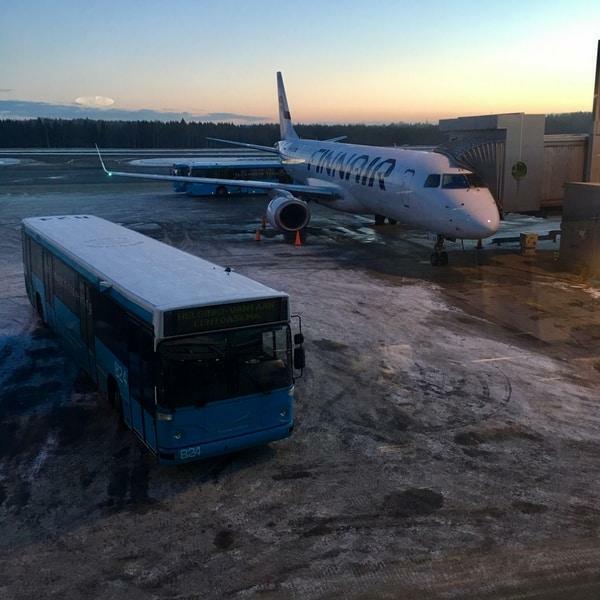 This Helsinki Airport Guide is a huge post and I hope it helps you with your travel planning to Finland! It is stressful to be at a strange airport with kids, big luggage or a tight connecting flight schedule. It would be nice to know a few things in advance, right? I regularly update this post as it has critical information. I reviewed this guide in October 2018, so you are safe to trust this information. If there is anything, you would like to ask additionally, just shoot a comment or send me a message. Psst… Follow me on Instagram and add instantly more Finland to your life! Okay, but now let’s dive into this post! Here’s what I’m going to be covering. Departure & arrival halls = The hall area that is before safety control. You can be there without a ticket. 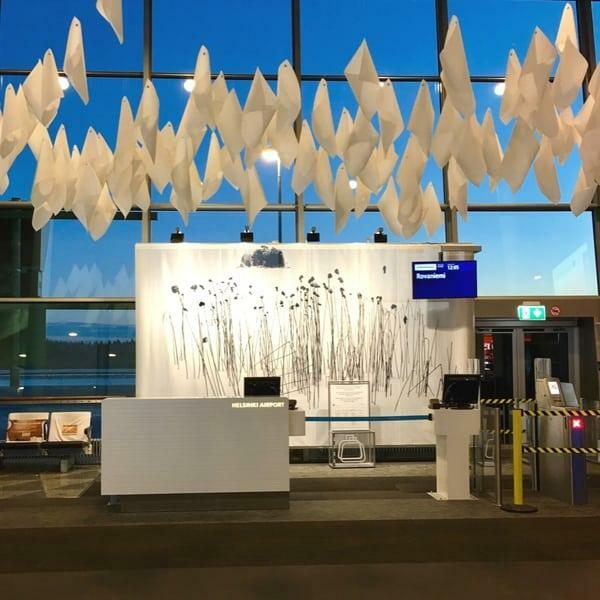 At Helsinki airport, it includes check-in counters and services (more on those later). Safety control = Safety personnel checks you, your ticket and your cabin luggage. Gate area = The area that is after the safety control. At Helsinki airport, it includes the gates and services (more on those later). Most navigators give you driving instructions when you type “Helsinki airport.” The actual street address that you can type in is Parkkitie, 01530 Vantaa. Note that close to the terminal buildings, you have to select the right roads based on the signs (such as T1, T2, P1, P2). I’ll explain these signs later. The airport is modern and easy to navigate. Once you are there, it’s hard to miss anything. There are two terminals in Helsinki airport: T1 and T2. For all non-Schengen flights, inside T2, there is a separate area (Gate 32-55), which you need to access with your passport. You show your passport to a person or go through the automatic gates with a biometric passport. I always choose the least crowdy option. The terminals are in the same building. It’s ok if you don’t know from which terminal your flight departures. You can access the airport from both terminals, check the screens and go into the departure area of the correct terminal. The gates between the two terminals are within walking distance. 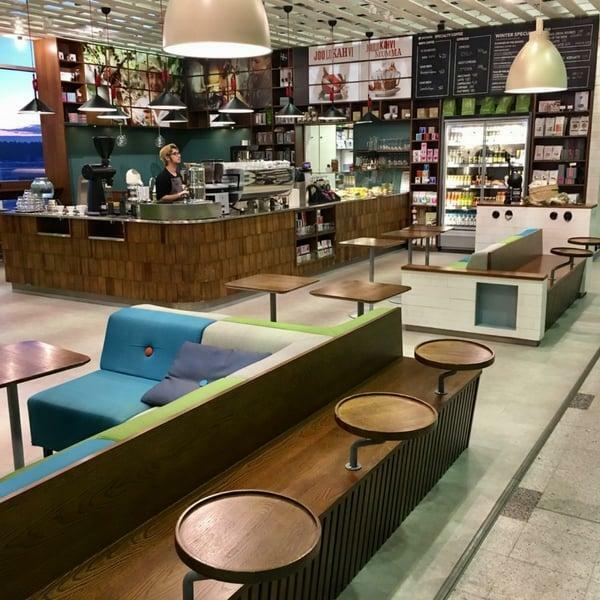 This is why Helsinki airport is the ideal place to switch flights! You don’t need to wait for a bus ride from one terminal to another. Everything is in one place. Check the easy overview map of Helsinki Airport! You can choose a straight bus to and from Helsinki city center. The bus has a stop outside of both terminals. You cannot miss it. The bus goes to the central train station of Helsinki. The travel time is 30 minutes, and the ticket is around 7€/one-way. Check timetables by typing date, starting point, and end destination. You get a suggestion of connections. Buy the tickets when you enter the bus (I always do like this, as it is so easy.) You can book online, in advance, for some routes. If you do this, the driver has your ticket, and you access the bus with your name details. Print the confirmation, though, just in case. Here is my helpful post about bus travel in Finland! There is a straight train connection between Helsinki city center and the airport. It takes about 30 minutes. Both lines I and P go to the central train station, so it doesn’t matter what to choose. You can buy tickets, for example, from ticket automates, Alepa-store, WHSmith kiosks, and R-kiosk. A one-way train ticket to the city center is around 6 euros. You can’t buy tickets on the train! Use the online shop of the Finnish train company, VR. Type date, your starting point (e.g., Helsinki airport) and end destination (e.g., Rovaniemi) and get a suggestion of connections. Pay online, print or take a print screen of your ticket. Or use the VR app. Here is my helpful post about train travel in Finland! Taxis wait for you at the entrances of both terminals. The ride to the city center takes about 30 minutes and is around 40 euros. You can find booths of all car rentals nicely in one place: the corridor area between T1 and T2. Companies provide you with all the details. Here is my helpful post about driving in Finland! There are plenty of parking options for own cars. If you are just dropping off someone, you can leave them in front of Terminal. It is free of charge. If you are picking up or dropping off someone and you should park for a certain period (10 minutes to several hours), find a parking area with the sign of P T1 or P T2. These parking areas are for a short time. If you are parking your car for one day or more, choose P1, P2, P3, P4, or P5. P1 is the closest to the terminals and thus the most expensive. P1-3 are parking houses within a nice walking distance from the airport. P4-5 are outside parking areas with shuttle services. The closest hotels to the airport are Hotel Glo Helsinki Airport and Hilton Helsinki Airport. Glo is, in fact, inside Terminal 2. Hilton is immediately outside of Terminal 2. At the airport, there are sleeping pods if you need to take a rest at the airport. Pods are near gates 22, 31, 50 and cost 6€/hour. I haven’t tested the service myself, and I found mixed reviews. Many backpackers find a peaceful nook (near gate 31, for example) and sleep on the chairs. What annoys me at an unfamiliar airport is that I don’t know what kind of services there are within each step of the way (departure hall > safety control > gate area). Sometimes these are separate spaces, and you cannot go back! Thus, you get stuck in a glass cubical with 100 people, dying of thirst and with a desperate toilet need (been there, done that). So I just want to clarify these things on my home base. A compact groceries store called Alepa. They even have everyday necessities like tights etc. I often buy snacks for long train or bus rides from here. Car rental booths on the corridor between T2 and T1. After the safety control, it is one shared space, thank god! No cubicles. A lot of restaurants, cafes, shops, currency exchange, Tax-Free counters, ATMs, etc. Lounges are on the floor above. At the corner, next gate 31, you can find the Airport BookSwap. It is a neat little library where you may take or leave a book. As I mentioned earlier, the non-Schengen area is separate, and you have to show your passport to get in. It is a huge gate area with a Nordic luxury design feel. There are restaurants (e.g., Starbucks and Burger King) and many designer shops. Traveling with kids is made easy. Playrooms are next to gates 16, 20, 30 and 52 (last is inside of non-Schengen area). Every toilet has either a separate baby changing room or at least a baby changing station. The Lost and Found counter is located in an office building of Terminal 2. If you forget something on the plane, you have to ask from the airline. We Finns don’t know how to zipper up into a nice line at the gate or next to a stand-alone plane. We just have to rush to the entrance! More seasoned Finns may have been standing next to the service counter for a good 20 minutes to make sure they beat everyone else. You can read from everybody’s face and the rolling of eyes that they think they should be the first one. The Finnish custom is not to use any words with this situation: just stare at the floor, avoid all eye contact and push slowly and steadily yourself to the aircraft. Fill your water bottle from the toilet tap. I know to some this sounds disgusting, but we do this all the time! According to many studies, our tap water is cleaner than bottled water. Just carry an empty water bottle through the safety control and fill it up. We have even designated taps for this, so it is easy to work with the bottle. By the way, you can hear Finnish birds singing in the restroom. Honestly, I couldn’t take a picture of The Oak Barrel to you because it was packed at 8.30 am. This Irish pub is a mandatory visit for many Finns when they are flying. In social media, you often get a location update from this pre-flight destination. I have developed own routines to master the place. I always park my car in P3. It is the least expensive indoor parking space with a walking distance to terminals. If I have time, I always go in through T1. It is the perfect entrance when traveling just with cabin luggage. I like the peacefulness of T1. At terminal 2, I often head to the second floor, right from the big security entrance area. Up, there’s another security entrance and it’s very quiet. Oh gosh, I just realized that I sound like a granny. 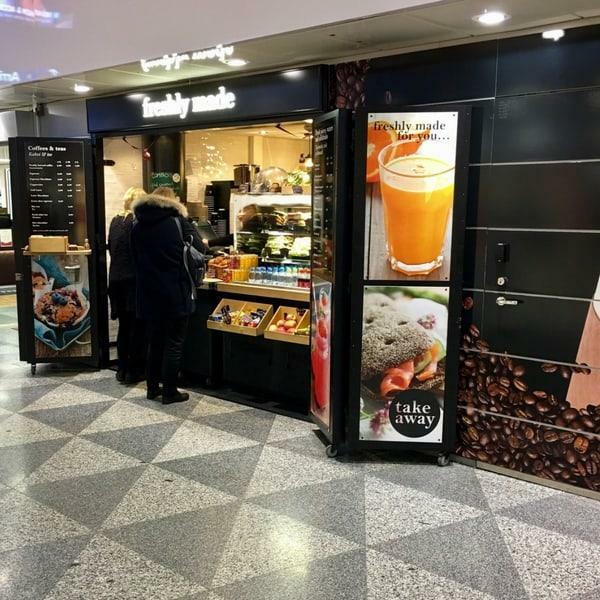 Immediately after the T1 safety check, there is a cafe called Johan&Nyström (near Gate 13) is a coffee lover’s paradise. If you want to eat a proper meal without the expensive airport prices, head to Cesar’s Little Italy on the cellar floor of T2 Arrival Hall. This restaurant is next to Glo Hotel. It seems that the airport staff and we business travelers often choose this homey place. There is a clothing shop ARG (two shops: near Gate 14 & 28) which I often check. They have a lovely assortment of medium-priced modern classics with a Scandinavian color palette. If I am in rush and boarding from T2, I, of course, go straight in from T2. At the gate area, I like to head to the counter of Freshly made (near gate 27). This tiny cafeteria has fast service and a lovely home-made selection of snacks. If there is anything, you would like to ask or comment about this Helsinki Airport Guide, just write a comment! Helsinki Cafes: Local’s Guide to Iconic and Adorable Coffee Spots! Helsinki Off the Beaten Path: Where to Eat and Wander! Did you find this post informative? Save it for later on Pinterest! Finnish engineer driving this site. Hi, my flight will take off from terminal 2. After clearing immigration and security in terminal 2, can I go to terminal 1 for a visit? If yes, do I need to go through security again when I return to terminal 2? Thanks. Hi Ben! Yes, you would need to do all the immigration checks again if you first go to the non-Schengen area of terminal 2. If you want to explore the airport, I’d wander in terminal 1 & 2 before going to the non-Schengen area. 🙂 I hope this helps! Perhaps the most brilliant design feature of HEL: the fuel station directly at the entrance to the rental car return. Heikki bang on!!! You are sooo right! Super convenient! Thank you! I left my young Son’s IPAD at the Terminal 2 security carousel,.. I did not notice it was gone until I reached DOHA,.. immediately I emailed Lost and Found at Helsinki airport and they charged me 5 Euro for the privilege and apart from receiving an email receipt of the payment,.. nothing else from them,.. I have searched google to see if there is anyone else I can contact including security control but to no avail,.. it seems they do not want the public to be able to contact them,..
Oh no, Robert. I’m so sorry to hear! If you go to the website of the Helsinki airport https://www.finavia.fi/en/airports/helsinki-airport a chat box appears. The chat has always a real person and I’ve had awesome service on it. 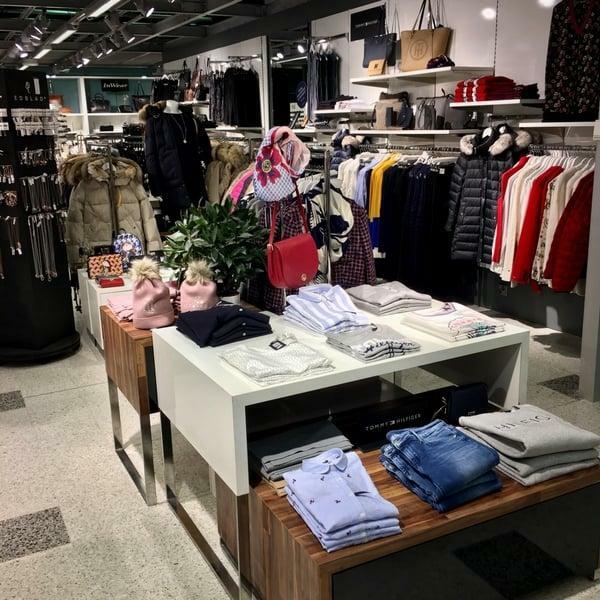 We are travelling to Finland this December.we are renting clothes when we land ( they are delivering it to us at the airport). We were wondering if we need to have enough warm clothes when we land. We were told that planes halt in the tarmac and there is a walk outside to get to the terminal. Can you advise on what to expect? We will be coming in from London. I’d say most of the planes from London arrive through gate arrival with immediate access to indoors. Layers are a great thing anyway in the plane and I would recommend them in any case. 🙂 If it is a standing arrival, the wait shouldn’t be that long to hop on the bus. I wouldn’t buy a down jacket just for this short period. I hope this helps! I was wondering if at the ARG store you can get wool socks during winter? Hi Alice! I’m not sure about their assortment of wool socks. There are two shops called Finnspiration (near Gate 26 and 34) which sell souvenirs and they could have wool socks! If you continue your way to Helsinki, the Helsinki Market Square definitely has wool sock sellers! Thanks for sharing. It’s been 2 years but I still remember how easy it was to get through the airport when I arrived. Love your blog. Can’t wait for more. Cool tip! Helsinki airport has sleeping pods. Have you tried goSleep?